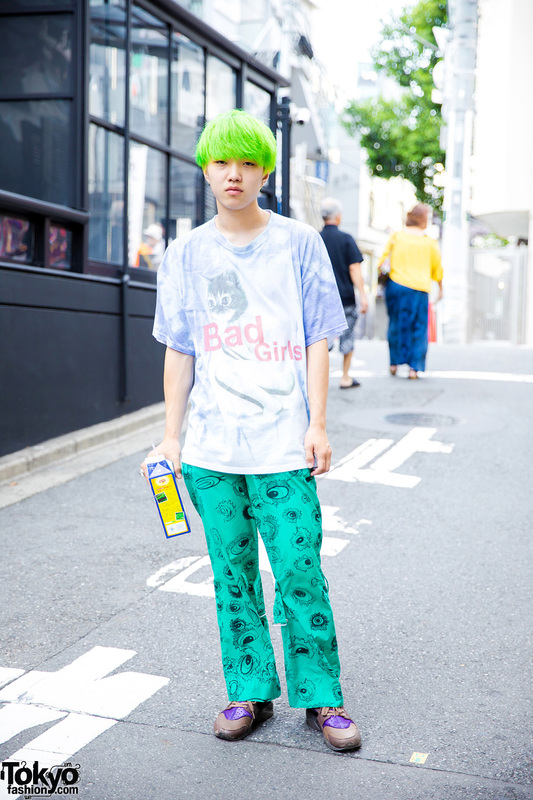 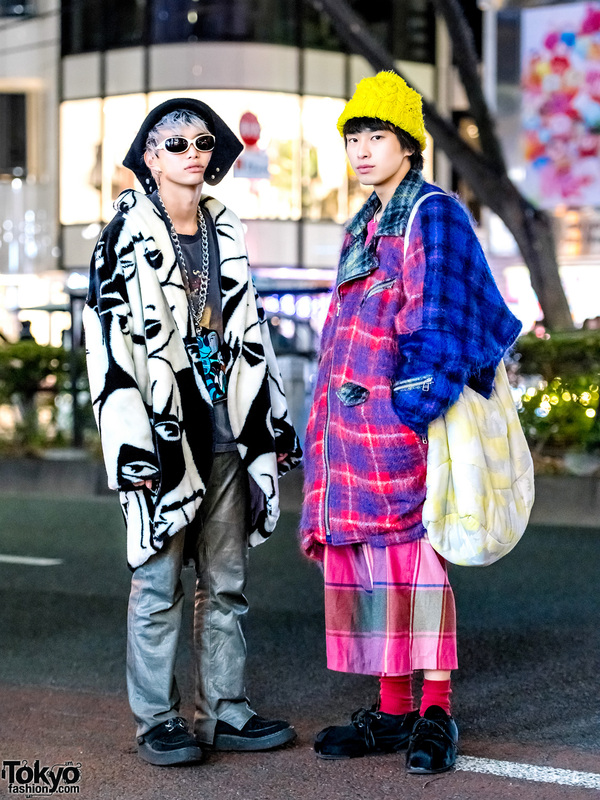 Japanese students showcasing printed street styles in Harajuku. 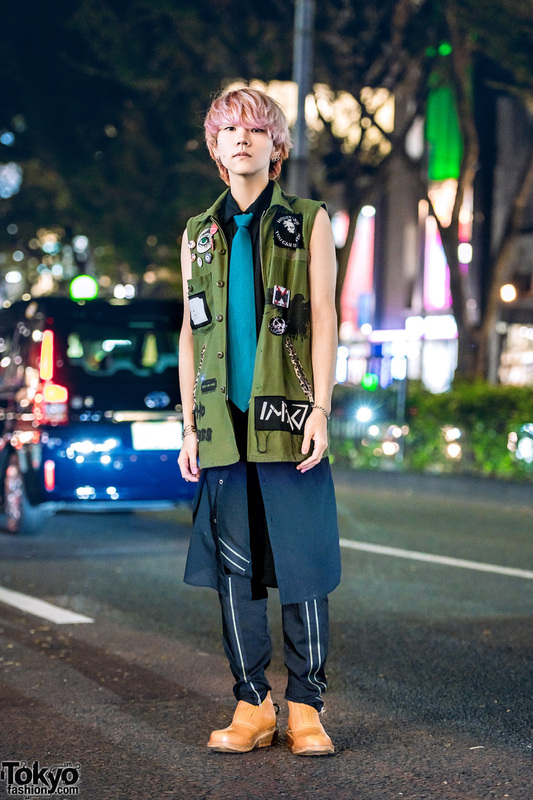 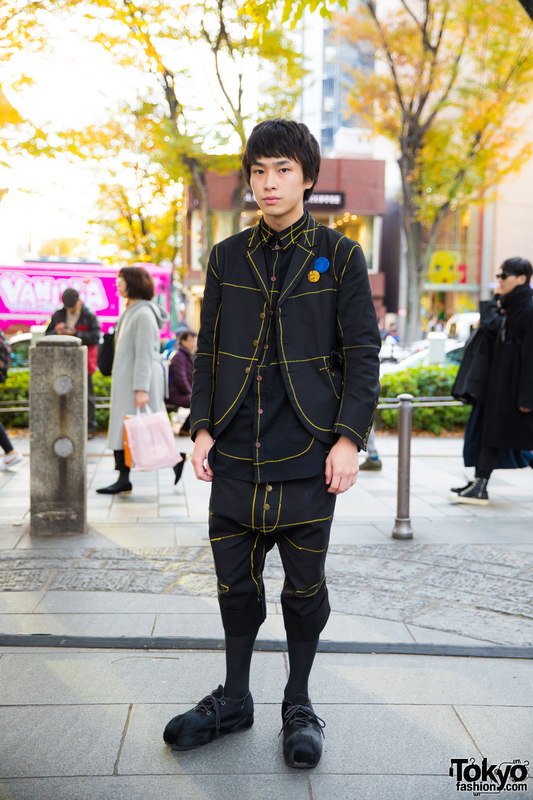 Japanese student wearing Christopher Nemeth printed suit and Hiro lace-up shoes. 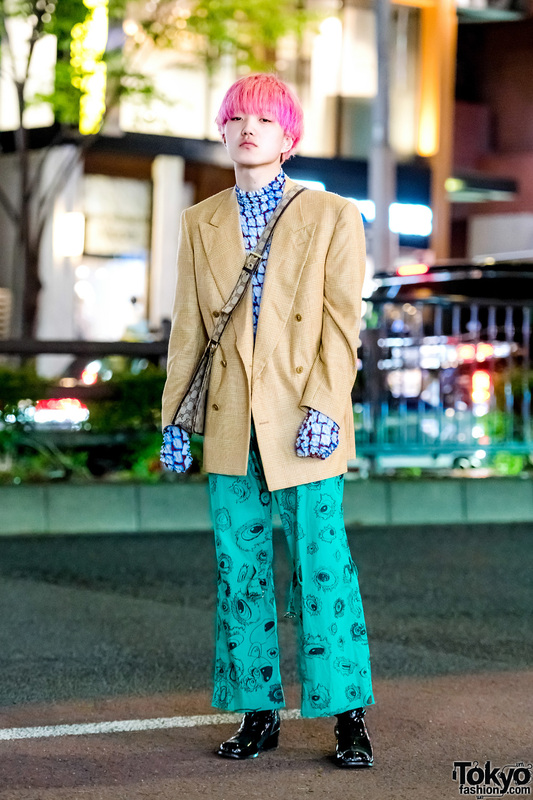 Harajuku guy with cap, wearing a velvet dragon jacket, hoodie, 3/4 pants, backpack and sneakers. 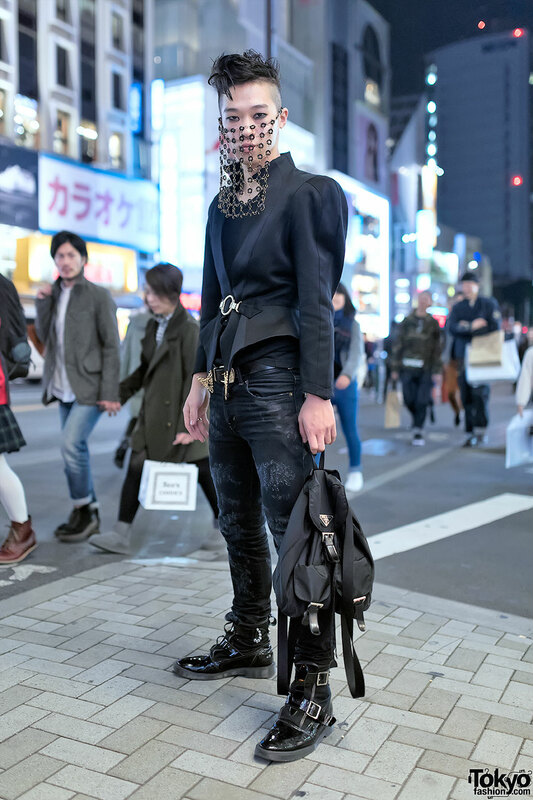 Japanese fashion student on the street in Harajuku wearing all black fashion with Saint Laurent jeans and George Cox boots. 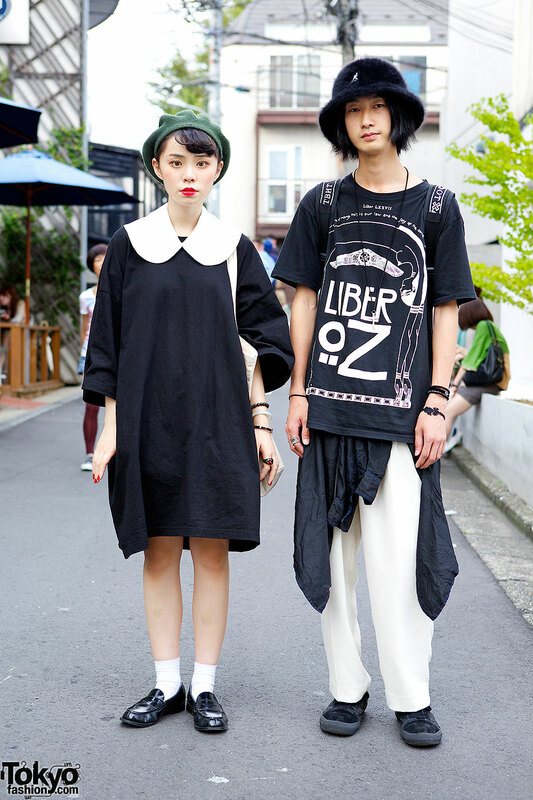 Harajuku guy in black t-shirt, white pants and hat & Harajuku girl in oversized dress with white collar and green beret.